Crocband stands for style. He has a unsiex shape and ist therefore rather wide. 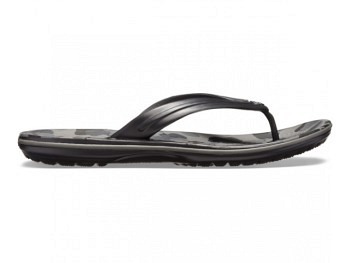 With all the style of the original version retro sneaker stripe, but all the comfortable cool of a flips this sandal will quickly become a summer staple. If you are looking for style and comfort, the Crocband Flip is the perfect new member of your group.